Saffron Tree: Year of the Dragon. Today marks the beginning of the Year of the Dragon in Chinese New Year. We at Saffron Tree, have found many wonderful books that celebrate children and Chinese culture. Sharing them once again, we thought might be a great way to ring in the Year of the Dragon. Happy Reading! When it comes to picture books, Roseanne Thong has created some delightful ones that vibrantly capture Chinese culture. Red is a Dragon, Round is a Mooncake are great books that introduce concepts for preschoolers using Chinese traditional words and images as a backdrop. 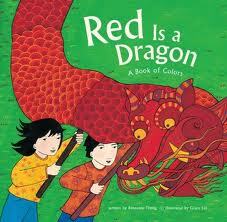 Anusha has neatly "drummed up" a review of Red is a Dragon here. Don't miss it! 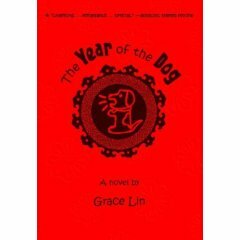 Grace Lin's portrayal of Taiwanese culture in her middle grade readers have always been devoured like dumplings! Here they are for a taste of oriental flavor! Year of the Dog that I had reviewed earlier in 2010. Wonderful compilation P. Love your cluster posts!